Finnegans Wake Needs Pace Duel in Eddie Read: Choosing the best horse is not always a good idea, although the best horse in the Eddie Read Stakes (GI) on Saturday at Del Mar is clear. Donegal Racing’s Finnegans Wake enters the nine furlong race, and his turf record appears excellent. Starting in November, he won three graded stakes races in a row. Months later at Churchill Downs, he picked up a win in the Woodford Reserve Turf Classic (GI), displaying his ability to run well on both coasts. 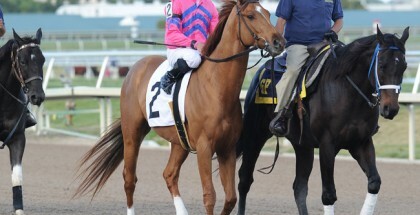 But, this is a small field and Finnegans Wake runs as a deep closer, leaving doubt as to whether enough pace develops. Two main speed horses line up against Finnegans Wake and one of them, Big Cazanova, is conditioned by the same trainer Peter Miller. Big Cazanova had enough speed to prevent Moreno from winning the Californian (GII) and Gold Cup (GI). Unfortunately, he went too fast for himself. This six-year-old ridgling likely will never be a horse that rates well. Considering Miller trains Finnegans Wake too, Big Cazanova is certainly not going to change tactics now in order to give Miller chances at victory from both ends. He starts from post position five. Two slots to Big Cazanova’s left, Midnight Storm may gun for the lead too. On paper, it appears he runs better up front, as his Del Mar Derby (GII) victory came after leading the field. 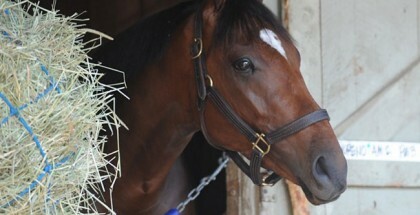 The question is, will Midnight Storm and jockey Tyler Baze run hard early knowing Big Cazanova is not being rated? Midnight Storm could also attempt to sit close to Big Cazanova without actually dueling, but will that mean Big Cazanova slips away without enough pressure? To add to the confusion, there are two horses with an unknown ceiling, including the rail horse Twentytwentyvision. Trained by the conservative Richard Mandella, this four-year-old gelding just finished second in an optional claimer, which is not necessarily an indication he cannot win here. These days, the line between a high-level optional claimer and graded stakes race is often blurry. Twentytwentyvision is also lightly raced with only six career starts. From post position six, Maltes is slated to compete in his first American race, and his first overall start since December 2013! A couple of stakes races are on his resume, but it is better to use caution before thinking a Group II event in Brazil means the same level as in the United States. At least, Maltes had a long time to acclimate. Trainer Darrell Vienna would not place Maltes in such an aggressive spot off the layoff without believing the horse contained talent. With a slim chance is Power Ped, who breaks from post position four. Because of Big Cazanova’s presence to his right, there is a slight chance of getting cut off at the break. Power Ped tends to come from behind though anyway. Jockey Gary Stevens, a master of racing strategy, might send Power Ped with an early move on the far turn and get the jump on the expected favorite, because he knows that if Power Ped kicks in with Finnegans Wake, Finnegans Wake will outrun him. Another Hall of Fame rider, Mike Smith, competes in this race aboard Gabriel Charles from post position two. If something crazy happens with the pace, maybe this one can shock handicappers everywhere. He did lose by seven lengths to Midnight Storm two starts ago with a nice pace setup, which dampens the enthusiasm, and each of his two Grade I efforts resulted in failure. Finnegans Wake might win on class alone against this field, even with a quirky pace or other issues. Yet, too many questions exist to hold a high amount of confidence. The value remains an issue too, as fans recognize Finnegans Wake by now as a turf horse that competes well in these kinds of races whether at Santa Anita, Del Mar, Belmont Park or Churchill Downs. It would be more fun to side with Big Cazanova and hope the jockey on Midnight Storm chickens out from pressuring, but Finnegans Wake must be used, if only for backup purposes horizontally.